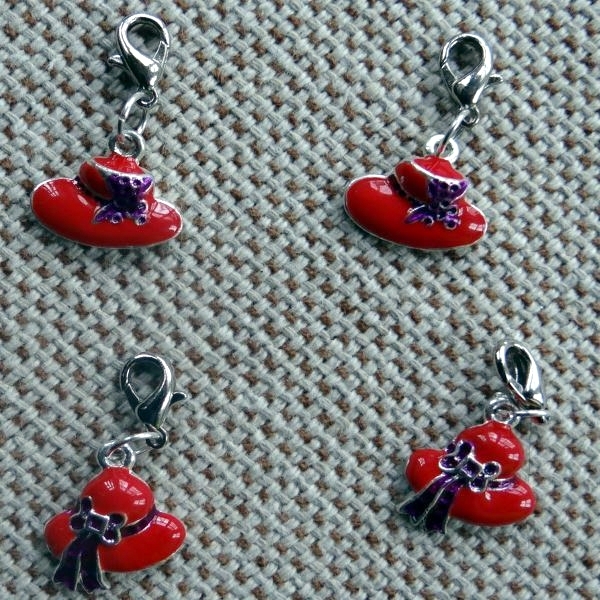 Members of the Red Hat Society can get their doggies in fashion with this Red Hat Society dog collar charm. They measure a little over a half inch. There is a sturdy spring clasp for attaching to your pets collar. This is a metallic based charm with an enamel finish.